Now that summer is over - what are we up to? 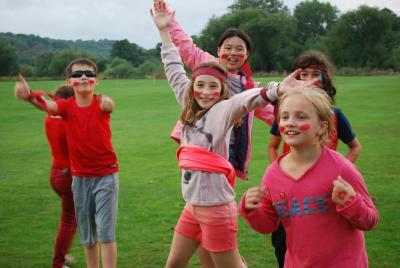 Can you believe that our camps finished for the summer almost a month ago! They say that time flies when you’re having fun – whether you came to one of our residential activity camps, English summer school or North London day camps, we hope you had just as much fun as we did! So what do we do between now and July when the real fun begins again? Our staff team has decreased significantly since the summer – most of our fantastic staff team are seasonal and go back to their lives outside of the ‘XUK Bubble’, leaving us with five brilliant team members in the office. One of our first jobs after the summer is unpacking (not just our own suitcases) – we need to sort through paperwork, sort through staff uniforms ensuring it is clean before it goes into hibernation for the year and put away equipment that we do not keep on each of our sites. Your feedback is very important to us – from our campers, families and staff team. 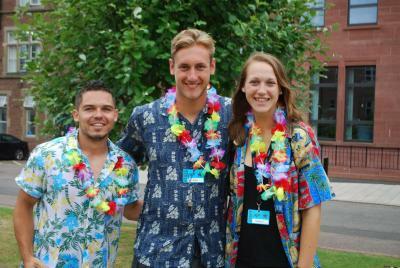 You would have received our post summer feedback questionnaire! We endeavour to make our residential and day camps better and better every year, your feedback is so valuable and often brings in new activity ideas – watch this space... Once the questionnaires are completed, we analyse the feedback and have long discussions about what they have shown us. From this, we come up with our action points with contribute to a lot of our ‘to do lists’ for the year. It will not be too long until our bookings for summer 2018 will go live, whether you are a teenager about to embark on your fifth summer with us or an eight year old, about to experience the magic of a residential summer camp in the UK for the first time, your time with us will be very special! Our office team are here Monday – Friday to answer all of your questions. No matter how big or small your question is we are here to speak to directly. There are many ways to contact us – by phone, email, LiveChat or through Social Media. Many families like to look through our brochure before booking. We will begin putting our Summer 2018 brochure together very shortly. You have seen how many photographs we take each summer – can you imagine how long it takes us to go through them all to select which ones we want to feature in our brochure! Our Staff Application also needs to go live again! This will happen mid November, with interviews beginning in January! But before we do that, we will discuss whether we want to add any extra questions in or take anything out. Lots of people begin thinking about their summer job before Christmas. We cannot wait to meet lots of our feature staff members soon. So here you have it, a little update about what is happening in the XUK HQ... we will update you soon with what we are up to!